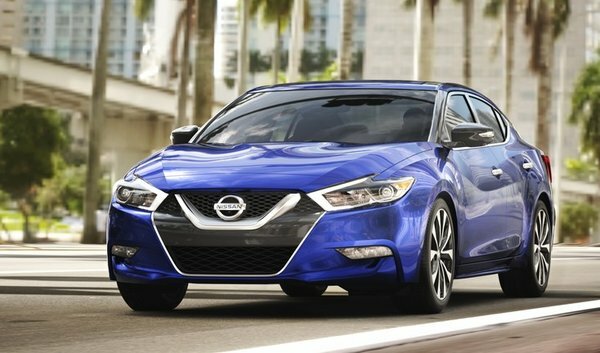 The Nissan Maxima is now in its second year of its 8th generation, and it continues to impress with its incredible blend of performance, comfort, handling, refinement, fuel economy, interior space, and safety. Yes, that’s a mouthful, but the fact remains that the new 2017 Nissan Maxima has every base covered, and should fit perfectly into your lifestyle. And that’s what the Maxima has always been about. The name was first introduced back in 1981 and at the time it designated the top-of-the-line Datsun 810 model. Datsun is long gone and so is the 810, but the new Maxima remains true to its roots. The new 2017 Nissan Maxima gets its power from a single engine, and no other powertrain options are available. 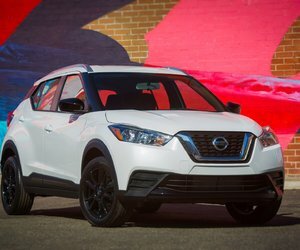 That makes it simple for consumers, and when we have a quick look at the Maxima’s specs, we realize Nissan didn’t really need to offer anymore engines. The Maxima is powered by a 3.5-liter V6 that delivers 300 horsepower and 261 pound-feet of torque. This engine is paired with a continuously variable automatic transmission that sends its power to the front wheels smoothly and efficiently. Not only is the new 2017 Maxima powerful, but its CVT transmission also makes it very fuel-efficient with an average fuel economy rating of just 7.8 liters per 100 kilometers on the highway. That’s not bad at all for a vehicle that provides 300 horsepower under your right foot! The 2017 Nissan Maxima is offered starting at $ 34,400, and features a lot of equipment for the price. 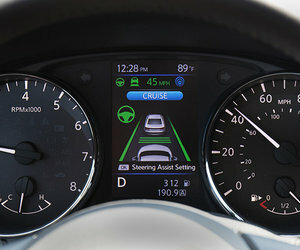 Indeed, the new Maxima comes standard with heated front seats, 18-inch wheels, an 8-inch central touchscreen with NissanConnect and a navigation system, and a rear-view camera. Opt for the SV model which starts at just $ 36,560, and you’ll get leather Zero Gravity seats, front and rear parking sensors, and electronic lumbar support. The 2017 Nissan Maxima SL features panoramic sunroof, an intelligent cruise control system, automatic emergency braking and an 11-speaker Bose audio system. All of this can be yours for less than $ 40,000. Even the top-of-the-line Platinum model is relatively affordable given all the equipment that features with its $ 43,960 base price. And for buyers looking for a bit more sportiness, the Maxima SR adds a sports suspension, a dynamic control module and 19-inch wheels. To learn more about the 2017 Nissan Maxima, contact us today at Stadium Nissan!